Booking the perfect romantic resort or retreat-like hotel can truly set the stage for a romantic getaway. We’ve searched all over the world and found some of our favorite romantic hotels and resorts for you to consider. Whether you are a new couple looking to nurture a budding romance, are parents looking for a romantic retreat without the kids, or are celebrating your 50th wedding anniversary, there’s a romantic hotel or resort on the list for you. 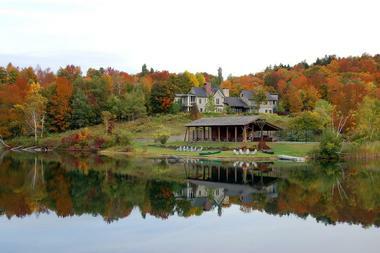 Twin Farms is an all-inclusive luxury resort in Vermont set in an idyllic rural setting near Barnard. The sprawling property covers 300 acres and offers a large number of amenities and features that make a stay at the resort as adventurous as it is serene and romantic. The property is perfect in any season. The fall foliage is beautiful in this part of the country and Twin Farms is the perfect place to experience it. 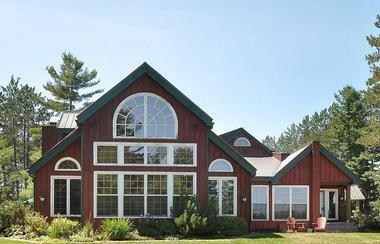 When the weather turns colder, the property has private, groomed trails for cross-country skiing or snowshoeing as well as an ice skating pond and sledding opportunities. during spring and summer, the resort has hiking trails, picnic spots, fishing, and more. You are sure to create romantic memories with your special someone during a visit to Twin Farms. 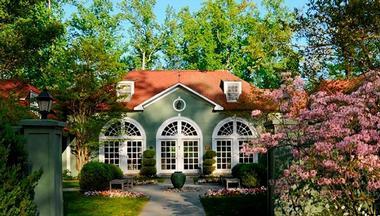 Goodstone Inn and Restaurant is a romantic countryside inn an hour from Washington D.C. in Virginia. The resort features 18 intimate guest rooms spread across 265 acres. Options for accommodations include a manor house from 1943, a carriage house, three cottages, and a barn. The barn is rented solo and the other buildings have two to four guest rooms in each. The property has an award-winning, French-style, farm-to-table restaurant. For a romantic retreat, you should definitely consider renting the barn as it offers a private and intimate experience with a cozy wood-burning fireplace and close proximity to the spa. 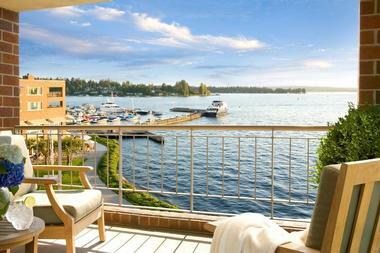 Woodmark Hotel and Still Spa is an award-winning luxury boutique hotel on the shores of Lake Washington, just outside Seattle. The property features plenty of extras that will make your stay memorable and special. Amenities include a full-service spa that offers a range of relaxing options as well as top-notch fitness studio and two signature restaurants. For those who’d like to play on the lake, take advantage of Woodmark Waterfront Adventures and their seemingly endless recreational options, with highlights such as touring Lake Washington on a boat or paddling yourself around the lake in a kayak. 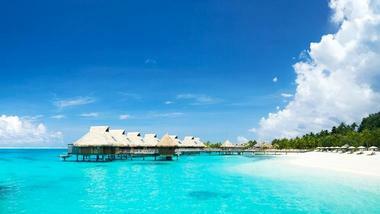 The Conrad Bora Bora Nui is a luxurious beach resort set on a world-famous private lagoon in Bora Bora. The property features colorful rooms with tropical decor, wood-floors, ceiling fans, and terraces, which creates a relaxed yet luxurious feel. For an additional fee you can book a suite on the waterfront with balconies and glass floors, through which you can see a variety of sea life. Resort dining includes a low-key cafe and a lagoon-view Mediterranean restaurant. A number of recreational activities are available for adventurous couples, including snorkeling and sailing. For the perfect romantic and relaxing day, book a spa treatment in a breezy, open-air bungalow. Dhevanafushi Maldives Luxury Resort spans two private islands in the Maldives. The posh resort is most easily accessible by seaplane from the capital city, Malé. Accommodations consist of luxury villas with modern décor, 24-hour butlers, and extra luxury features like marble bathrooms, Bose speakers, and four-poster beds. 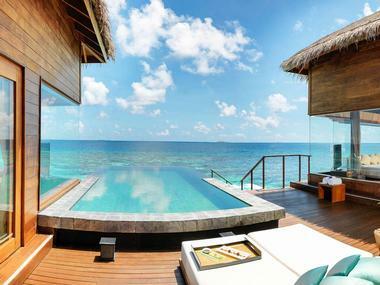 For an upgrade you can stay at a luxurious one or two-bedroom villa built right over the water. Couples will appreciate the intimacy and privacy afforded to them at their private swimming pool and outdoor rain shower. The views of the ocean from the resort are all you need to inspire romance on your vacation. The luxury resort is just a bonus. 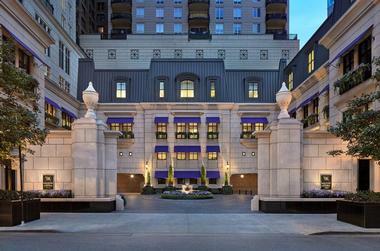 Dukes Hotel is an elegant, upscale boutique property that features 90 gorgeous rooms. The property has several special features, including a cognac and cigar garden and a drawing room, where a daily afternoon tea is served. The Dukes Bar is the property’s most well-known feature, however, and is a favorite of Ian Fleming, who created James Bond. In fact, the bar is where the famous James Bond line “shaken not stirred” originated from. Several room types are available, and all feature a modern but classic style and luxury amenities, such as marble bathrooms, handmade chocolates at turndown, and more. Float Luxury Spa is a day spa in Santa Barbara that offers a large variety of services that can be curated for a special romantic retreat. Their services include a number of massages, such as a couple’s massage where you and your special someone are massaged side-by-side on two tables in the couple’s suite. A long menu of facials are available, as are waxing services and a variety of other rituals. For a special day with your significant other, book the Couples Retreat. This 2-hour package includes a couple’s signature massage and two Works Facials, the spa’s most popular facial. Estrella del Mar is a luxury 900-acre resort in Mazatlán, Mexico, located on the edge of more than 3 miles of magnificent, secluded shoreline. Each room and a condo has a balcony and direct access to the pool and beach. The décor is a colorful colonial Mexican design with Asian touches. Rooms have queen or king-sized beds, garden or ocean views, a satellite TV, an opulent bathroom with bathtub or shower, and free Wi-Fi access. The guests and condo owners enjoy the use of lighted tennis courts, a spa, a fitness center, modern event facilities, restaurants, and a world-class golf course. 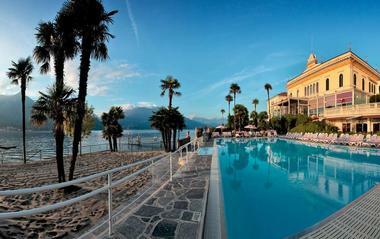 The Grand Hotel Villa Serbelloni is an ultra-luxurious 95-room hotel on the banks of Lake Como in Italy. 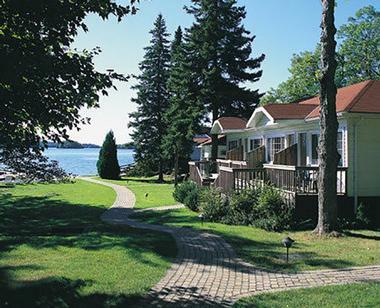 The hotel offers stunning views of the lake, which forms a backdrop for your romantic retreat. 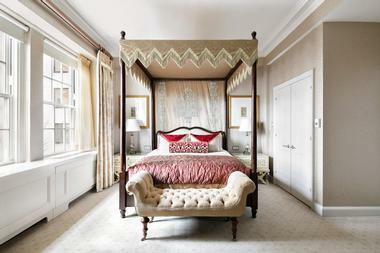 The historical architecture and stunning interior design further help create a posh feel at the property. The hotel is the only five-star property in Bellagio. During your romantic getaway, you can split your time between relaxing at the posh Villa Serbelloni spa, boating on Lake Como, and relaxing by the pool with a drink in hand. The hotel also has mountain bikes available for rent as well as a hotel gym and tennis courts for those who like a more active vacation. 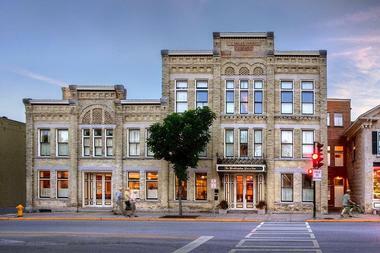 The Washington House Inn is a historic hotel in Cedarburg that marries the best of casual elegance and historic tradition. Discerning travelers can luxuriate in any of the Washington House’s enchanting rooms, each of which are unique and memorable in their own ways. Guests at the inn are welcome to start their day with a delicious deluxe continental breakfast before heading out to spend the day exploring what the historic downtown area has to offer. When guests come back at the end of the day, they can end the day in front of the fireplace or in the tub with their choice of wine. The Langham Hong Kong is a five-star luxury hotel surrounded by designer shops in Hong Kong’s busy Tsim Sha Tsui neighborhood. The hotel features elegant rooms with extra amenities like iHome docking stations, Nespresso coffee machines, and stylish marble bathrooms. The property has a 3-Michelin-Star Cantonese restaurant that serves lunch and dinner, perfect for a nice meal with your sweetheart. The outdoor heated rooftop pool offers nice views of the skyline and is a great place to relax after a day exploring Hong Kong. Guests who book the executive rooms and suites are afforded access to the Langham Club Lounge, which includes extra perks like evening cocktails and free-flow breakfast. The Nobis Hotel is a sophisticated property occupying a historic 19th-century building nearby several interesting attractions in Stockholm, such as the Royal Swedish Opera, the Royal Palace of Stockholm, and the Nordic Museum. The elegant and comfortable rooms offer nice views of the city, the park, or the property’s courtyard. Dining options include a free daily breakfast, a bistro, and an elegant Italian restaurant that is perfect for a romantic evening. The hotel’s Gold Bar is famous in Stockholm and features a menu of champagne and cocktails that will make your visit truly special. For those looking for a bit more space, book a suite, which adds living space and a whirlpool tub. Severn Lodge: Muskoka Ontario Resort Canada is an all-inclusive, family-friendly resort on Lake Ontario’s shores in the Muskoka Georgian Bay lake district. The resort is perfect for those who are seeking a reprieve from the daily hustle and bustle and is perfectly suited for a romantic getaway. 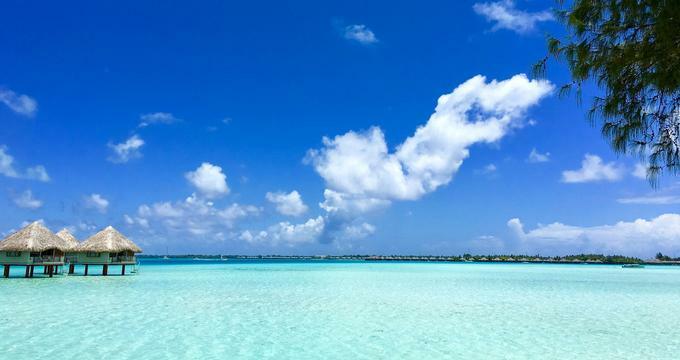 The all-inclusive packages include luxury accommodations with views of the water, included meals, and a large number of recreational activities where you will certainly make memories to last a lifetime. Activities include swimming in the heated pool or in the lake, a variety of sports activities, hiking the many acres of trails and, of course, watersports on the lake. The Taj Cape Town is a classy property that occupies both a modern tower, a bank from 1932, and a 19th century office building. 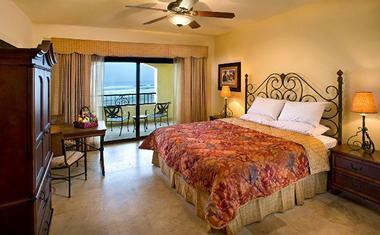 The rooms are elegantly styled and have smart TVs, iPod docks, high ceilings, and private balconies. Book a suite for butler service and additional living space. For the ultimate luxury romantic getaway, the property has a two-story penthouse suite that has gorgeous views of Table Mountain as well as a gym, steam room, and more. There is a Ayurvedic spa on-site for all of those couple’s spa treatments. Dining options include a lobby lounge and three restaurants for plenty of choices during your stay. 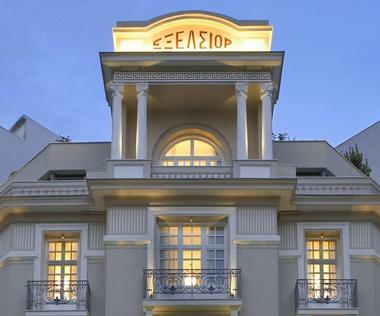 The Excelsior Hotel Thessaloniki is a stunning 1920s boutique hotel with neo-classical features. The property is conveniently located near Thessaloniki’s main square as well as the seafront. Even though the property has many historical features on the exterior, the interior has a number of surprisingly modern features, such as a glass-walled rooftop breakfast room, a busy industrial-style restaurant, and more. The property shares its spa and gym with a neighboring property, but the 34 rooms at this more intimate hotel provide a nice romantic escape for couples with their elegant marble bathrooms, white and gold color scheme, and more. If you are looking for a great luxury retreat in the middle of New York City, look no further. The Lowell Hotel is a high-end boutique property that is well known for its beautiful, uniquely decorated rooms and a commitment to top-notch service. Up the romance factor with upscale amenities, wood-burning fireplaces, private terraces, and more. The property also has an upscale American restaurant, and it couldn’t have a better location. 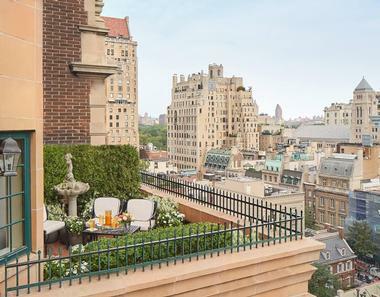 It’s just steps from Central Park and designer shopping along Fifth and Madison Avenues. For those who like to stay active during the trip, the fitness center is well equipped and offers snacks and fresh fruit. The Nines is a historical hotel with plenty of modern touches located in the former Meier & Frank department store in Portland. 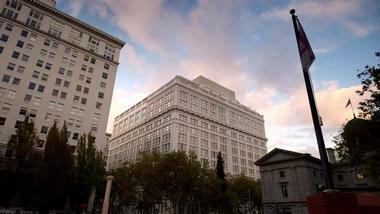 The property is easily among the best places to stay in the city. The hotel features chic furnishings with Tiffany-blue interior accents and enough quirkiness in the common areas to keep it interesting. There are plenty of places to grab a nice meal in Portland, but the property also has a couple of great restaurants, including a pan-Asian restaurant with tasty dim sum. Other features that may appeal to couples include a well-equipped fitness center, a billiards room, and fantastic views of downtown Portland. The Pierre is an elegant and iconic Old World hotel on Fifth Avenue just across from Central Park in New York City. The swanky property has plenty of nostalgic features that will bring to mind grand old New York, such as elevators operated by white-gloved attendants. There are 189 traditionally styled guest rooms that are both comfortable and modern. The property doesn’t have some of the features that one may hope for in a hotel of the price, such as a full-service spa and a pool; however, the convenient location offers so much to do nearby that you are unlikely to miss them. 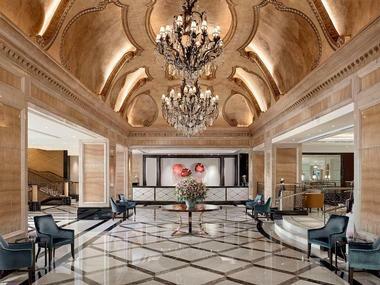 The Ritz-Carlton is a five-star hotel in a 53-story building near many of Tokyo’s hottest attractions. 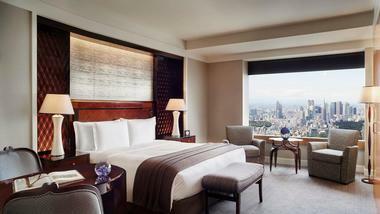 The property features luxurious rooms and suites that have stunning views of the Tokyo skyline or Mount Fuji. The hotel has a number of dining options, including a well-received French restaurant, a casual dining joint, and an upscale bar. Couples looking for a retreat-style getaway will appreciate the indoor pool, fitness center, and full-service spa. Attractions nearby include the Tokyo Tower, Tokyo Imperial Palace, and Yoyogi Park, so you will have plenty of opportunities to explore right in your hotel’s backyard. The Trillium Resort & Spa is an adult-only vacation getaway property tucked away on 86 acres of forest and woodlands in the middle of beautiful Muskoka, Ontario. The property features a lake and a waterfall as well as acres of forest and woodlands that are ripe for exploring. Tons of recreational activities are on offer for active couples, regardless of the season. However, if you’d rather relax, the on-site spa is perfectly equipped to accommodate that. Amenities include miles of hiking trails, a natural rock wall, a Finnish sauna, an outdoor pool, a fitness center, watersports equipment, and much more to help you both enjoy your vacation, connect with your partner, and get a welcomed break from everyday life. Perfect for couples who love history, the U.S. Grant Hotel is a historic hotel in downtown San Diego’s Gaslamp District. The hotel was built by the son of President Ulysses S. Grant just after the turn of the century. 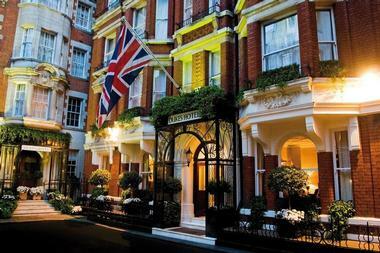 It is known for American luxury with a touch of traditional European style. The rooms are elegant and brightly decorated, with flat-screen TVs and posh bathrooms. In-room spa services are available, and the on-site restaurant and bar get great reviews. The property doesn’t have a pool, but guests can use the Westin’s across the street and the lux vibe and elegance more than make up for the inconvenience. 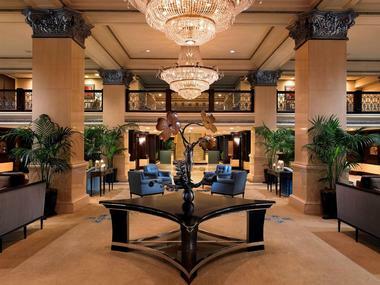 The Waldorf Astoria Chicago offers a top-notch luxury experience in Chicago. The property feels like a small boutique but has amenities that you would expect from a much larger hotel. The room are stylish with neutral decor, modern furnishings, and luxurious touches like marble bathrooms with both soaking tubs and separate showers. Couples will appreciate the full-service luxury spa, health club with a wide range of services, and indoor lap pool. Most rooms also have fireplaces. Dining options include a luxury restaurant and bar by celebrity Chef Michael Mina. The location in Chicago’s Gold Coast neighborhood puts guests in a perfect location for shopping, dining, and entertainment. Whale Cove Inn is a luxury boutique hotel in Depoe Bay, Oregon. The elegant hotel is perched on a bluff just off the Pacific Coast Highway above Whale Cove. There are eight elegant suites with ocean view hot tubs and balconies. The rooms are spacious with separate living rooms. The on-site restaurant offers free breakfast. 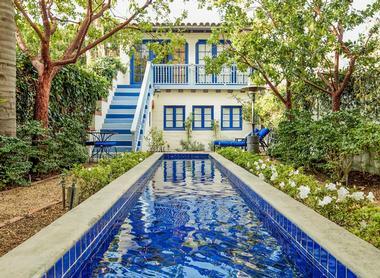 Highlights of the property include a garden-lined path to the beach and a terrace with stunning views of the bay. The property only allows guests over the age of 16, so it is a perfect getaway for a couple looking to escape without the pitter-patter of little feet. 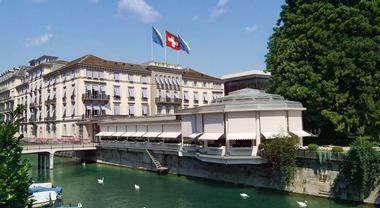 Baur au Lac is considered by many to be among the best hotels in all of Europe. 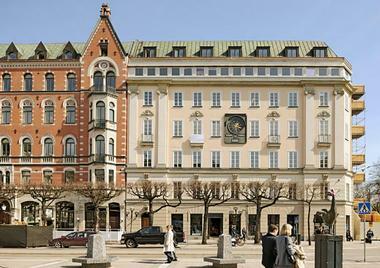 The five-pearl luxury hotel sits in a convenient location right on Bahnhofstrasse, which is known as a luxury shopping destination. The rooms are upscale and comfortable, and some feature views of the Alps and Lake Zurich. Couples will love the upscale dining options, which include three restaurants, one of which is the Michelin-starred Pavilion. There’s not a swimming pool or a spa on the property, which seems surprising as it gets such rave reviews, but the luxurious extras and elegant touches more than make up for it. 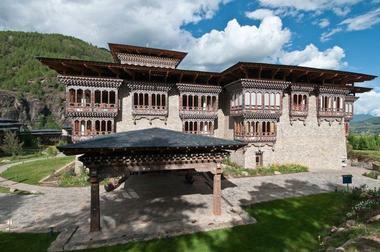 Bhutan may not be the first place that comes to mind when you think of booking a romantic getaway, but when you’ve experienced the Zhiwa Ling Hotel, you will be glad you considered it. The hotel occupies 4 acres of countryside property with views of the mountains. The rooms consist of casual suites with balconies, sitting areas, and mountain views. There’s one special suite with private butler service. Guests can enjoy a complimentary breakfast as well as meals at two on-site restaurants. Other amenities include a luxury spa, a teahouse, a Buddhist temple, and meditation classes with prior booking.